Quick an easy payments using your phone. Please make use of the QR code below to make payments to TransformHERS. Download the app to your iPhone, Android or Blackberry device* and link your credit or debit card. In less than 5 minutes, you’re good to go! 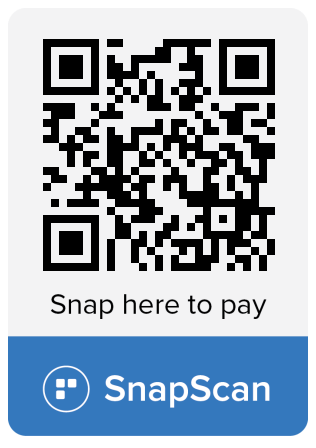 SnapScan is free to use, with no additional charges to you as the user. Network providers’ standard data charges will apply. Your card details are securely encrypted on your phone. We don’t have access to them. Open SnapScan and use your phone’s camera to scan the SnapCode (QR code). That’s it. You’re done! Make sure that we have received proof of your payment.